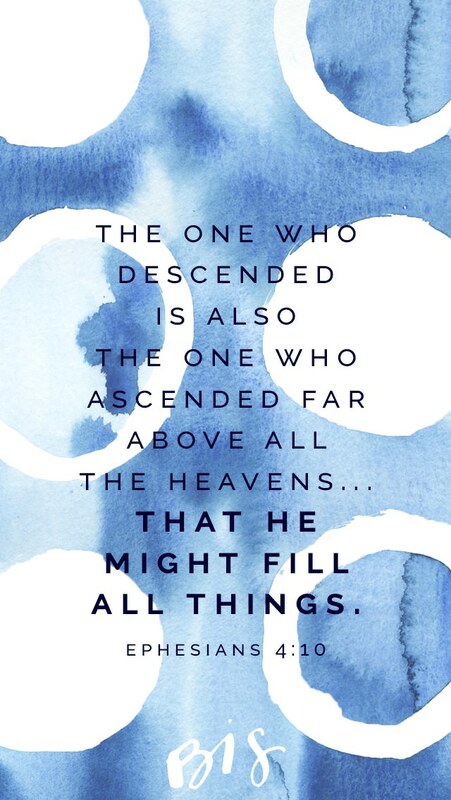 The one who descended is also the one who ascended far above all the heavens that he might fill all things. 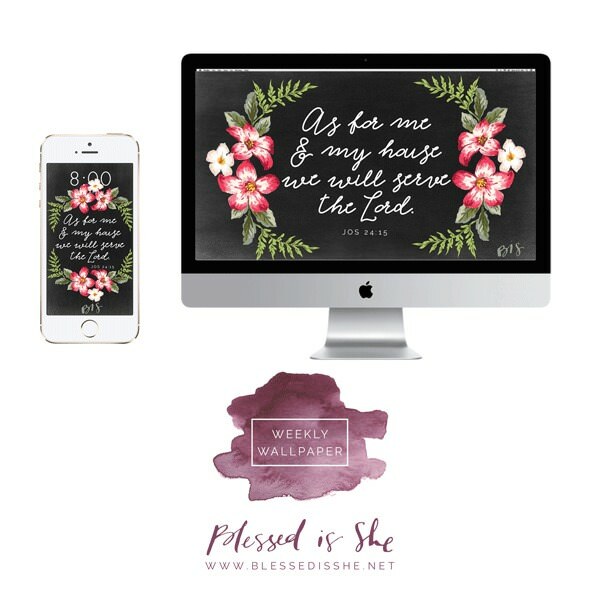 This really struck me in the readings today, “that he might fill all things.” When I am not well, it is because I feel an emptiness–I am tired from a long days work or I haven’t taken time for silent prayer in a while or I haven’t connected with my loved ones in my community for too many days. 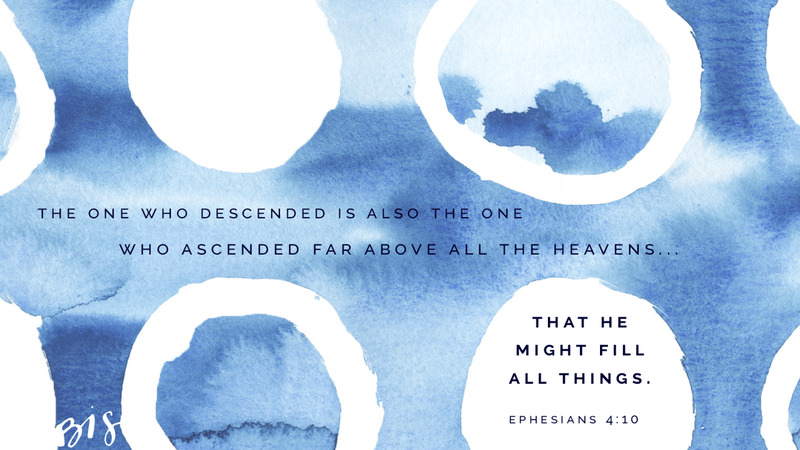 But then he says that he ascended so that he might fill all things. Those dark chocolate peanut butter cups from Trader Joe’s will not fill that emptiness nor will binge watching TV. He will. A little behind my process, this week. 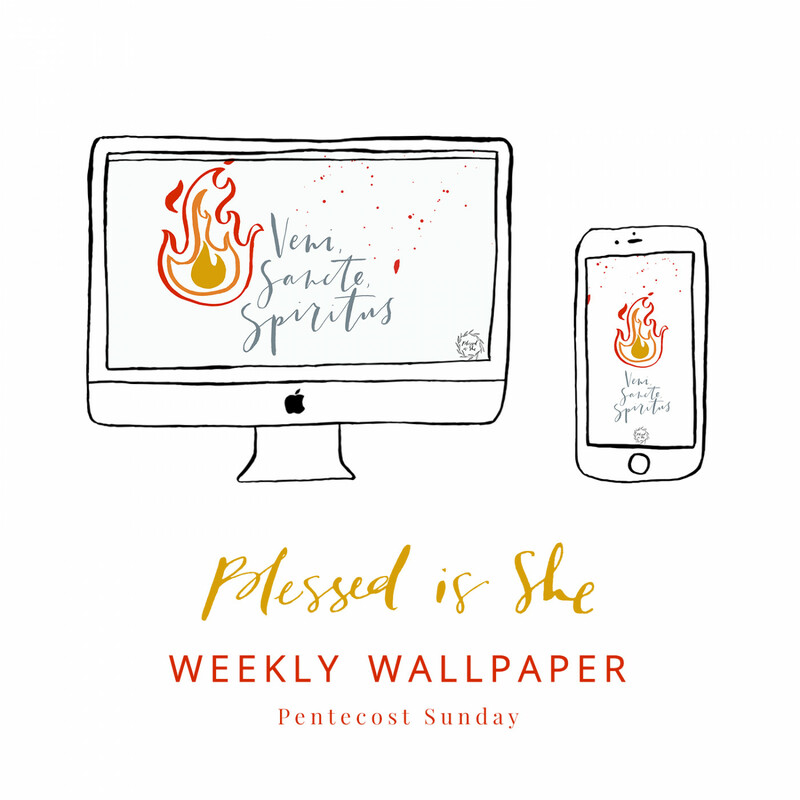 On Monday mornings, I look up the readings for the upcoming Sunday’s scripture. I look for verses that jump out to me. Sometimes it comes easily and other times I have to revisit it in the subsequent days. Once I have a verse, I let it settle in my heart for a while. I try to think of colors and techniques. Occasionally, I’ll be working on something else for a client, and I will make something similar. 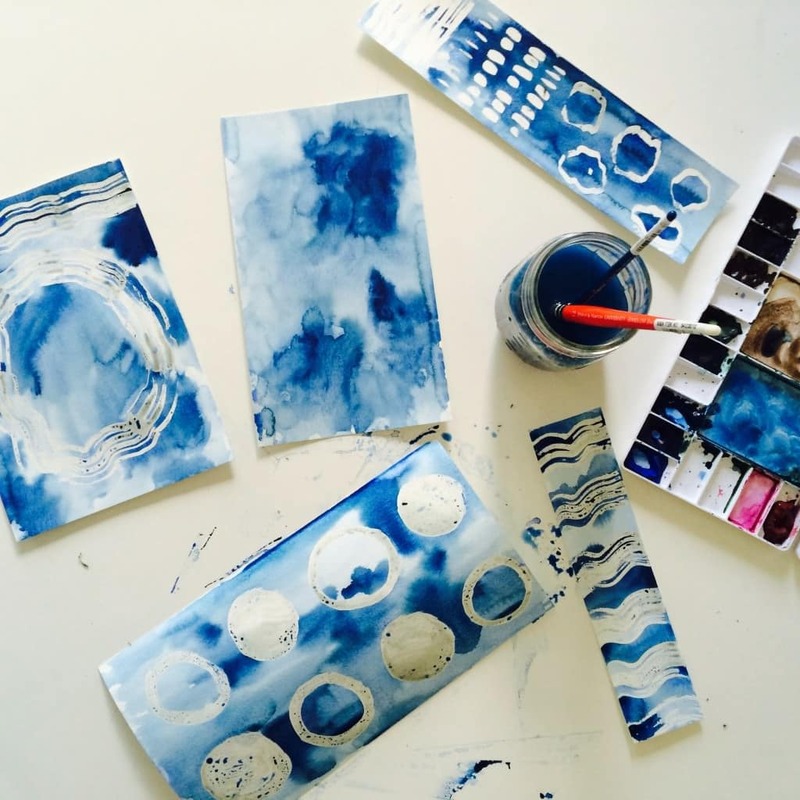 Other times, like this week, I attempt new techniques–things I’ve never done before. I knew I wanted to depict the, “I fill all things,” so I was brainstorming things that are full. The cup that runneth over. 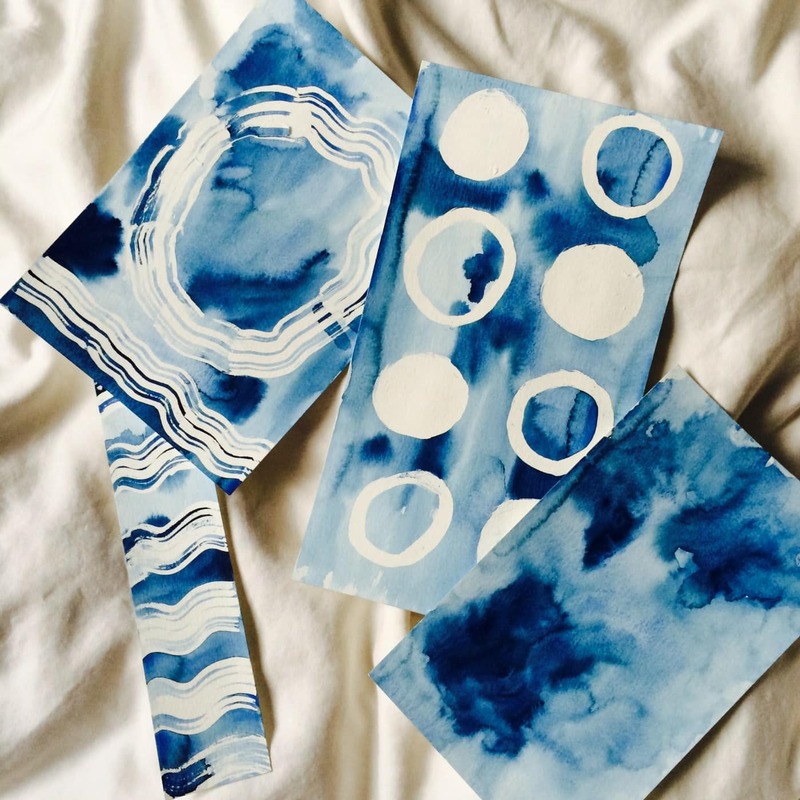 Then I started thinking about how I love indigo shibori for fabric and that it would look cool on paper. I obviously couldn’t do the full technique because watercolor paper doesn’t fold easily, but I got out my drawing gum and did some “faux” shibori. Sometimes the risks work out, like today. 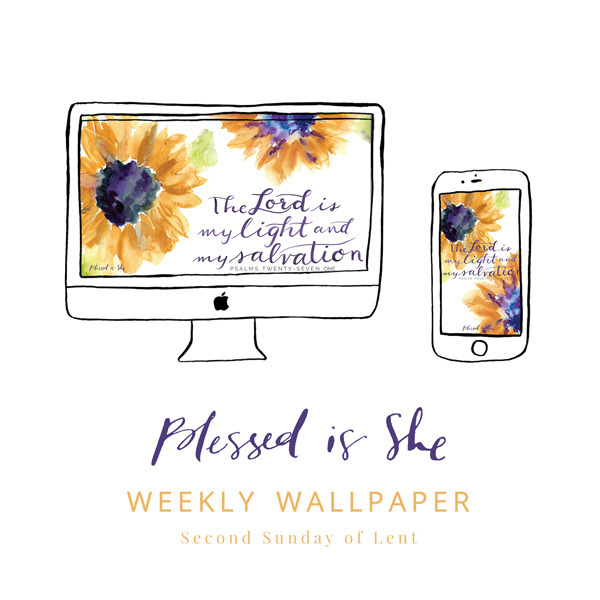 I am so grateful to all of you who write to us and tell us how much you love the wallpapers each week. I carry you with me as I create them– a tiny offering to this amazing community that we have here.